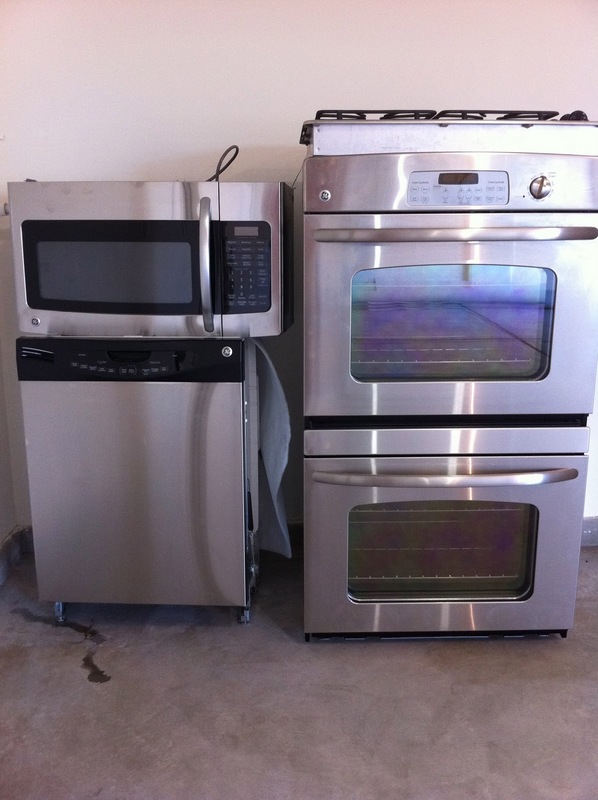 countertop and appliances swap | . stephrything . 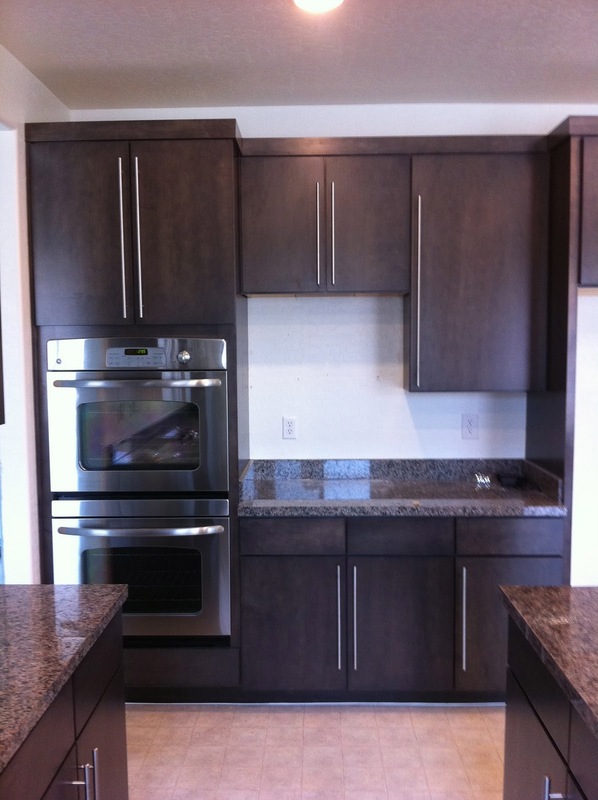 When choosing countertops for the kitchen, we decided to go with one of the standard granite colors the builder offered instead of their pricy upgrades. We knew upgrading later on with another company would cost much less. We told the sales agent about our plans and she asked if we would instead choose the other standard granite color. Apparently another home buyer didn't want it but it had already been ordered. I wasn't a fan of this new color, but we worked it out and figured it would motivate us to change the countertops sooner. And it did. Gray on Gray on Gray was not for me. 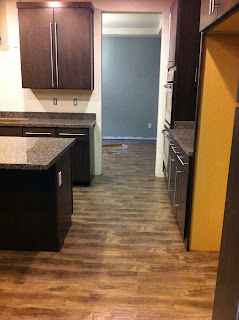 We priced out quartz countertops with several companies and found our cheapest option was actually the same company that provided our flooring -- Carpets 'N More. Go figure. After weighing our color options we chose Hanstone Aurora Snow. 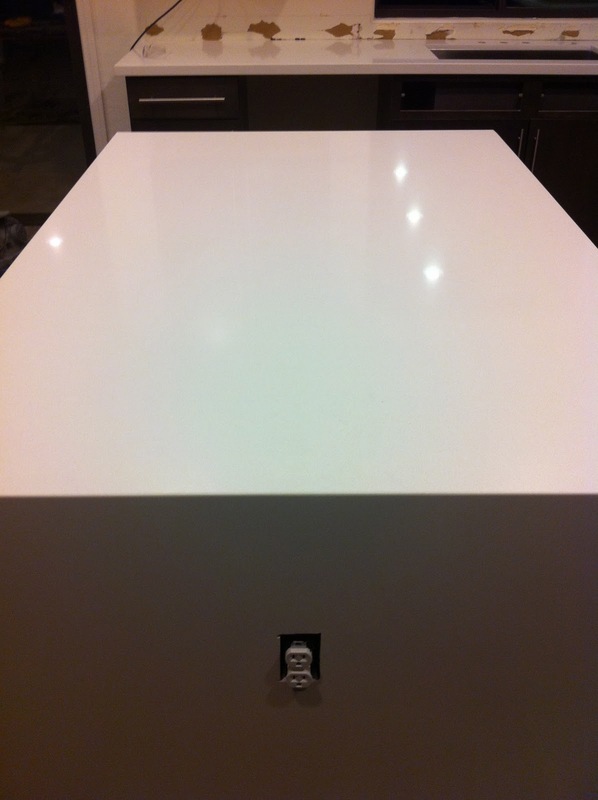 We also decided to mod up the kitchen some more by wrapping the sides of the island with quartz. The crew, Manuel and August, worked meticulously for two days transforming our kitchen. They tore out the old granite, hauled the huge slabs to the garage, then hauled the new quartz slabs in and out of the house as they measured, cut, recut, polished and installed the pieces. Then they made sure we were completely happy with the final result. And we were. I am ecstatically thrilled with how the countertops turned out! Especially the island sides wrap. It works beautifully with our cabinets, handles and flooring. We picked out a new sink to replace the builder's top mount standard sink and Brent installed our kitchen faucet that we already owned. The sink looks huge since it's a deep single-basin. I could probably bathe my almost two year old in there. Thank you, random decorative plumbing store behind the Palms! We'll be back soon for a shower system. About a year ago, when we thought we would be buying a different house, we bought a set of appliances on craigslist to put inside this gutted house. 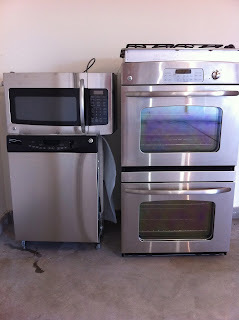 Even after that house fell through, we kept the appliances hoping we could use them somewhere else. 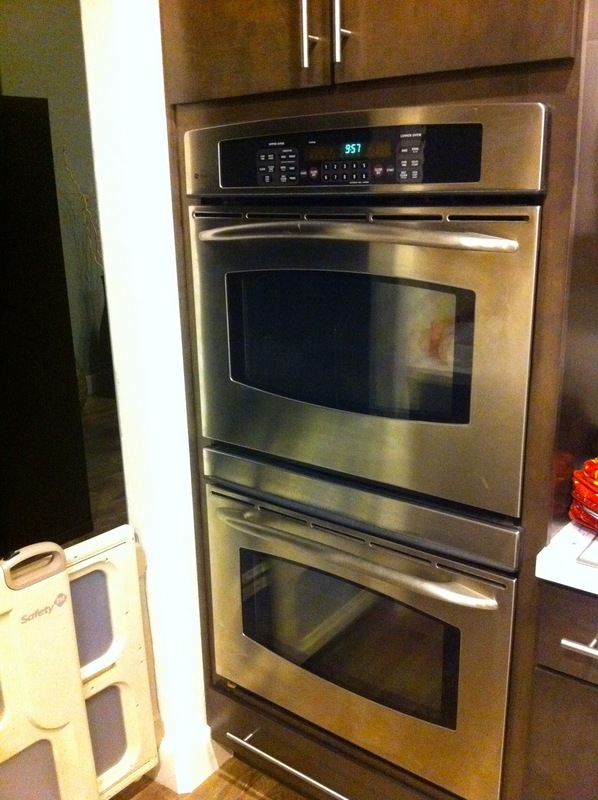 This set is a few years old but an upgrade from GE's standard stainless line. Fast forward to our new house. We still liked the old set we bought more than the set that came with the new house, so Brent uninstalled the new appliances and we sold them on craigslist. Then he installed the old appliances we bought before. May sound weird but I like this old set much better. 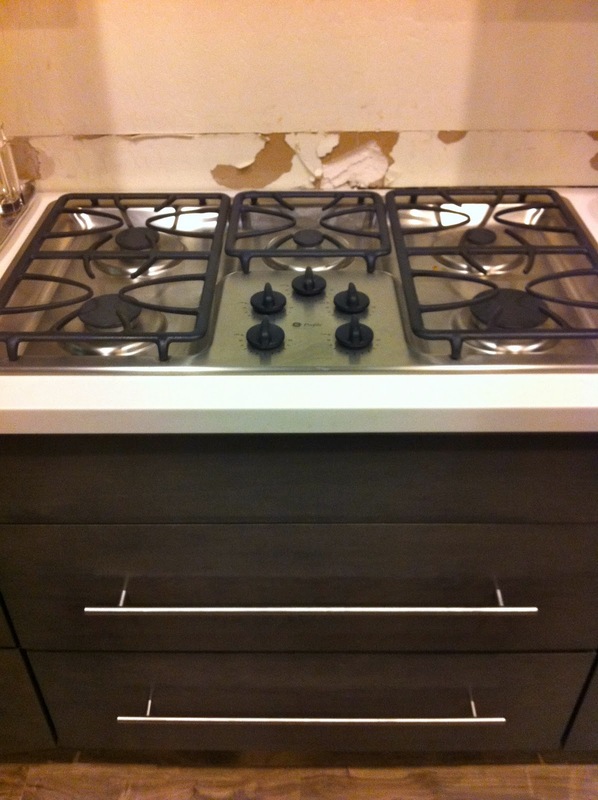 And it included a five-burner cooktop. 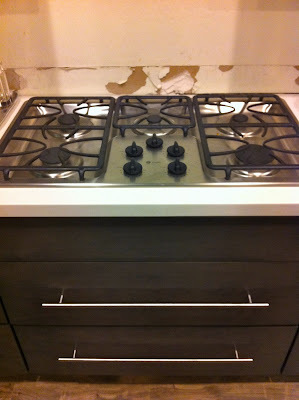 We actually planned out the cabinet underneath to be wider so it would fit this cooktop. Something to think about if you're looking to upgrade. And we added pot drawers (I'm already thanking myself for forward thinking). Now we just need to install the range hood, tile the backsplash and paint the rest of the kitchen. That's all. Hah.